User-friendly Linux Brochure software helps you easily create brochures for different uses such as education, business, marketing, transportation, enterprise, etc on Linux. 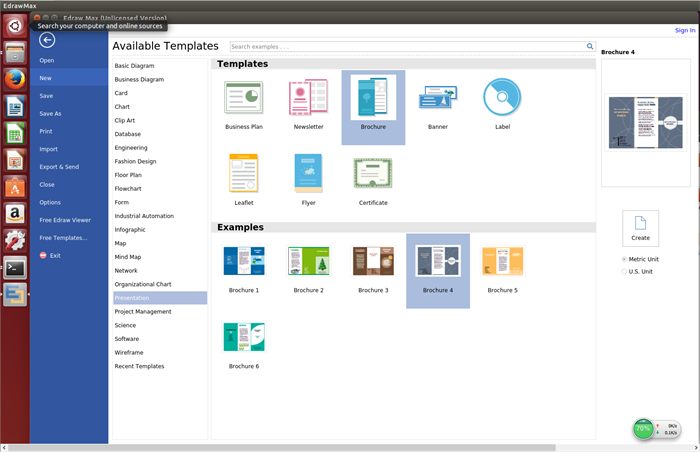 Edraw Brochure Software for Linux is accompanied with rich free brochure templates and icons, which makes it easier than ever to design different kinds of brochures as you need. Drag-and-drop ability makes it easy to layout the brochure design. 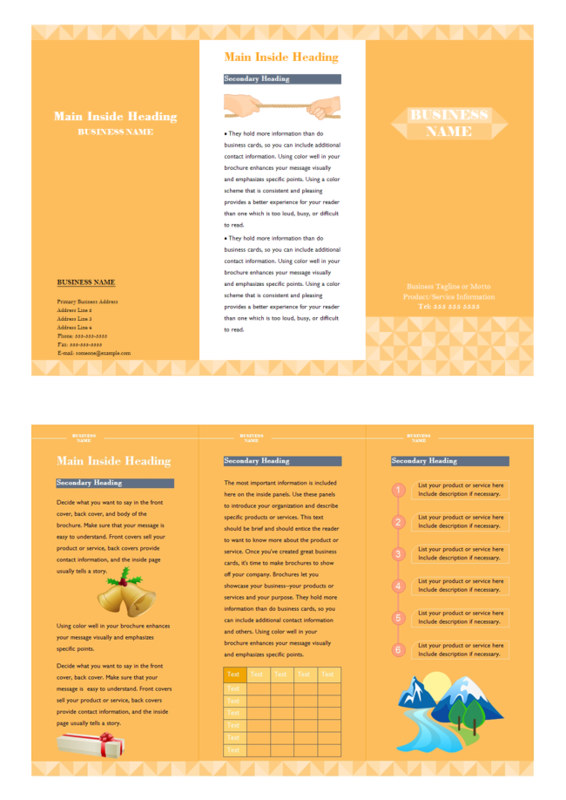 Free brochures templates and examples are all editable. You can free download, edit them and then customize your own brochures. Built-in attractive headline and graphics make your design stand out. You are allowed to insert your local pictures to the brochure. Support exporting to other formats including BMP, JPEG, PDF, SVG, HTML, Word, PowerPoint and so on. Get started with a brochure template. Go to"File" menu > "New". Click "Presentation", and then double click the icon of "Brochure". Add text and images. Double click a shape to type in text and switch to Insert tab and click Insert Picture from File button to insert your own pictures. Save or export designed brochure. Click "Save" on "File" tab to save as the default eddx format, or choose "Save as" on "File tab" to save as other formats such as jpg, png, pdf, html, etc. 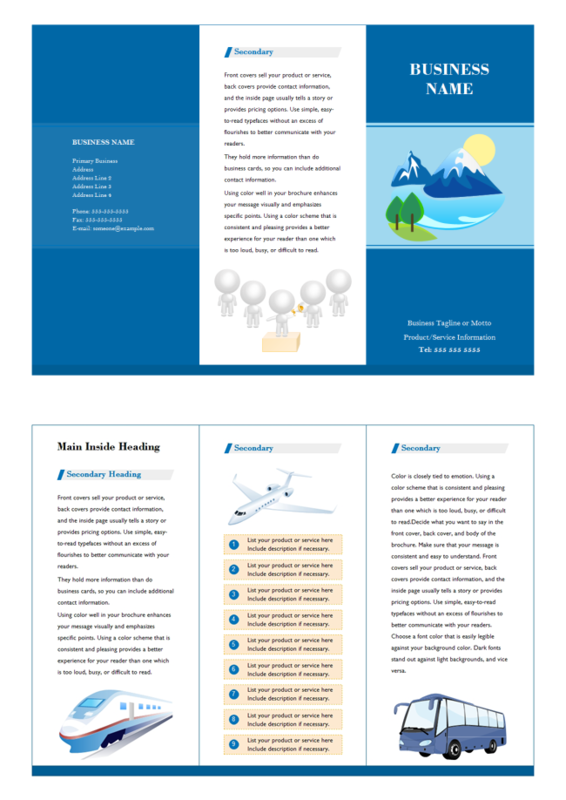 Learn more on how to create brochures. Make it Unique and Eye-catching. Below are some brochure examples designed by our brochure drawing tool for Linux.These examples will help you get started quickly.